Senator Manny “Pacman” Pacquiao has gone on record to state that he is looking for a knockout against upcoming opponent Adrien Broner. True to his fighter nature, Pacquiao told reporters that he is not making a prediction, but rather setting a personal goal. Manny went on to say that had forgotten how much fun winning by knockout was until he stopped Lucas Matthyssee last summer to win the WBA welterweight title. Manny stated that it felt great to win the Matthyssee fight with a knockout and that boxing fans loved it too. Manny went on to tell reporters that the fight is strictly business and that Broner is fun and sells his fights really well. Manny has been training every day in the US since Christmas Eve in preparation for the upcoming fight. On New Year’s Eve Manny ran 5 miles up the hills to the Hollywood sign and finished with 12 rounds of mitt work. Manny’s strength and conditioning trainer and Fortune gym owner Justin Fortune stated that Manny runs like a deer. Fortune also said that Manny’s secret to success is that no one can keep up with him and that he has the strongest foundation of any fighter that he has ever worked with. Trainer Buboy Fernandez said that he has never felt such raw power and that when Manny hits the mitts it sounds like an explosion. Fernandez also said that Manny’s footwork, distance, and angles are all coming together nicely. Since the fight is located overseas, local sportsbooks such as MegaSportsWorld should offer betting lines on the event. Philippine residents can also place bets with legal Philippine online sports betting services located offshore. Online sportsbooks usually offer more favorable betting lines and lucrative bonus options that Filipinos can use to pad their bankroll. 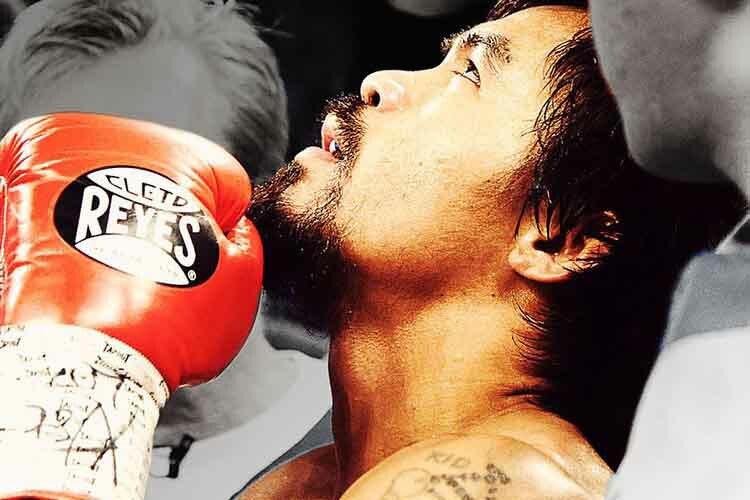 Legal online boxing betting is popular in the Philippines due in part to Pacquiao’s success in the boxing world. Manny is considered one of the best fighters of all times and has produced world titles in four of the eight weight classes over his professional career. Manny’s opponent Adrien Broner is also a former champion in four weight classes and 11 years Pacquiao’s junior. Broner’s professional record is (33-3-1). Broner recently got arrested a few days before Christmas 2018, but sources say that he is ready for the scheduled fight against Pacquaio. The fight is scheduled for January 19th at the MGM Grand Garden Arena in Las Vegas, NV. The WBA welterweight world championship event will be presented by Premier Boxing Champions and presented live by Showtime Pay Per View (PPV). The PPV service will begin its broadcast at 9 pm eastern time.